The Best Reputation. 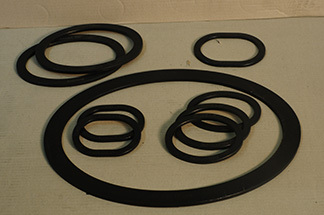 For over forty years, Topog-E® Series 180 gaskets have earned a reputation for ease of use, durability, unbeatable performance and overall quality. Topog-E® is the original molded rubber gasket for steam, water, or air use on boilers, water tanks, and air tanks that use pressures to 180 PSI and temperatures to 380°F. Topog-E® gaskets conform to the topography of both surfaces to seal immediately. 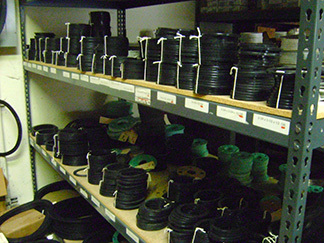 Each batch of rubber compound is rigidly laboratory tested for strength and endurance to exceed conditions under which a boiler must operate. For quick, accurate identification, the size and shape is permanently molded into each Topog-E® gasket. 2-1/2" x 3-1/4" x 3/8"
2-1/2" x 3-1/2" x 1/2"
2-3/4" x 3-1/2" x 1/2"
2-3/4" x 3-3/4" x 1/2"
2-7/8" x 3-7/8" x 1/2"
2-3/4" x 4-1/2" x 5/8"
3" x 4-1/2" x 1/2"
3" x 4-1/2" x 5/8"
3" x 5" x 9/16"
3-1/4" x 4-1/4" x 1/2"
3-1/4" x 4-1/2" x 1/2"
3-1/4" x 5" x 9/16"
3-1/2" x 4-1/2" x 1/2"
3-1/2" x 4-1/2" x 5/8"
3-1/2" x 5" x 1/2"
3-3/4" x 4-3/4" X 9/16"
4" X 5" X 5/8"
4" X 5-1/2" x 3/4"
4-1/2" x 5-1/2" x 5/8"
8-5/8" x 12-1/2" x 1"
9-1/2" x 14" x 1-1/8"
10-1/2" x 14-1/2" x 1-1/4"
10-3/4" x 14-3/4" x 1-1/4"
11" x 15" x 1-1/4"
11" x 15" x 1-3/8"
11-1/2" x 15-1/2" x 1-1/4"
11-1/2" x 15-1/2" x 1-3/4"
11-3/4" x 15-3/4" x 1-3/4"
12" x 16" x 1-1/4"
12" x 16" x 1-3/8"
14" x 18" x 1-1/2"
18" x 24" x 1-1/2"
3" x 4-1/2" x 9/16"
3-1/4" x 4-1/2" x 9/16"
3-1/2" x 4-1/2" x 9/16"
11-5/8" x 15-5/8" x 1-1/4"